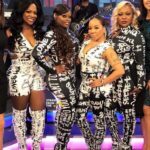 The Great Xscape Tour is off an rolling and they kick off their first concert tonight (November 22, 2017) in Richmond, VA. 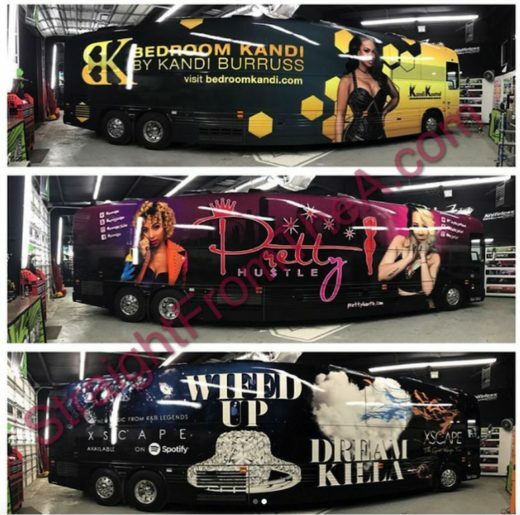 Yesterday, we discussed Kandi’s new ‘Kandi Koated’ tour bus and how it appeared that she was separating herself from the group (click HERE if you missed that). 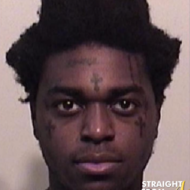 Well, it’s been brought to my attention that she’s not the only one with her face on a bus…. 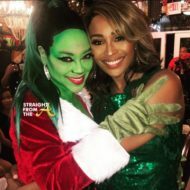 Kandi has a bus, Tiny (and Zonnique) has a bus, and the Scott Sisters apparently share a bus. 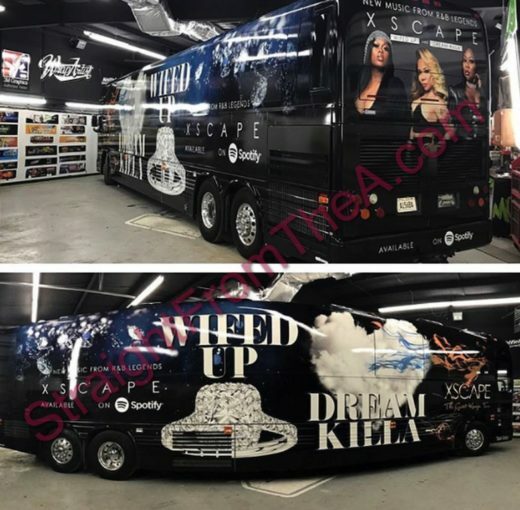 Tiny and Zonnique’s “Pretty Hustle” tour bus. 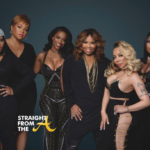 While Tiny has her own bus, she’s still featured on the Xscape Bus alongside Tamika and LaTocha, however, many noticed that Kandi isn’t included in the group photo. 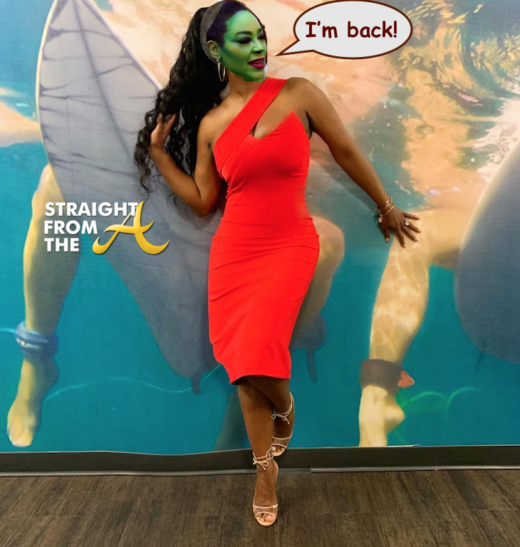 For the record, Kandi’s noticeable absence on the Xscape bus is probably due to the fact that she’s not making new music with the group OR is could be that she’s not ‘officially’ an Xscape member anymore… but you ain’t heard that from me! 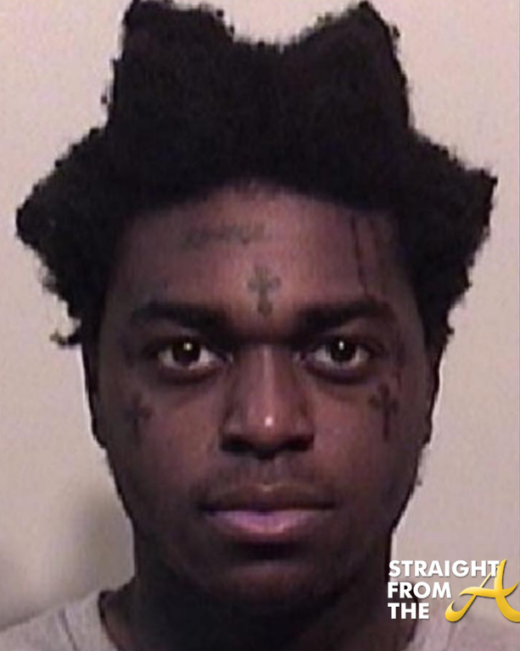 VIDEO: EVERYBODY GETS A BUS on The Great Xscape Tour! 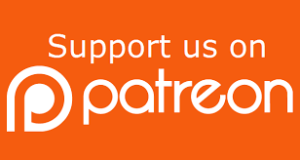 Whatever the case, it seems that all of the ladies (and their families and cliques) will be riding in style and comfort for the remainder of the tour. 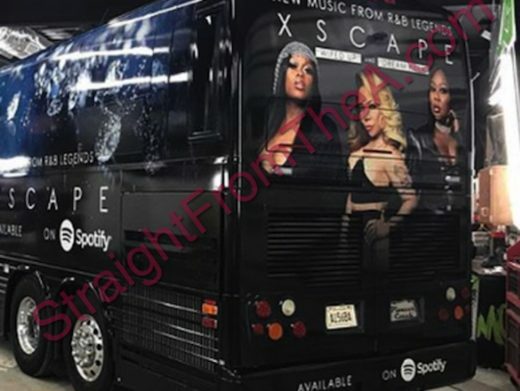 What are your thoughts about all the Xscape tour bus drama?